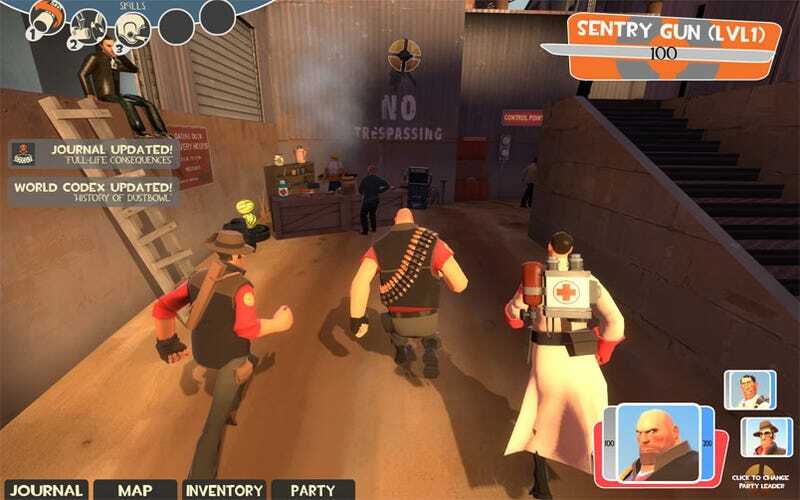 You may have seen this going around your forum of choice lately, but just in case you haven't, here, take a look at this guy's idea for a Team Fortress 2 role-playing game. While we'd love to write it off as absurd, maybe even crazy, the fact is there are some good ideas to be found in here amidst the over-use of on-screen displays. Indeed, we'd love to see some enthusiastic group of kids take this idea and just run with it. You can thank goldenhearted, Photoshop and Garry's Mod for the whole thing.